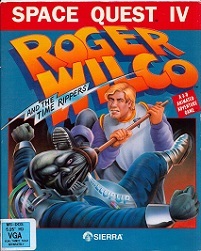 Space Quest IV, designed by Scott Murphy and Mark Crowe is the first Space Quest game that, aside from the VGA remake of Space Quest 1, that features VGA graphics and a point-and-click interface. 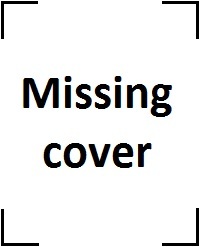 As it was one of Sierra's early VGA games, it was also released in EGA. 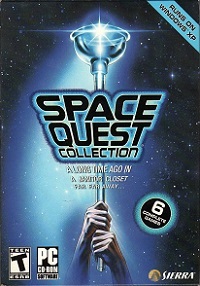 One year after its first release, it was re-released on CD-ROM with voice overs, introducing voice actor Gary Owens as the narrator of Space Quest. Once again, Sierra almost ran into legal issues with the use of puns referring to other brands. 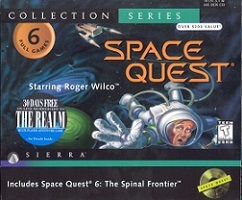 Most notably, Space Quest 4 is known for the Energizer bunny ordeal. But also Radio Shack threatened legal action with the use of the Radio Shock electronics store in the game. 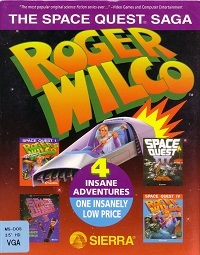 It was replaced in the CD-ROM release, which is also included in the multiple Space Quest collections that were later released. 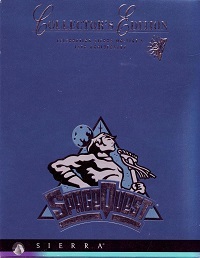 Unfortunately Space Quest IV was the last Space Quest game Scott and Mark designed together as Mark would shortly after its release move to Dynamix where he designed Space Quest V: The Next Mutation, introducing Sierra's daughter company to the SCI engine. To the delight of the fans, Scott and Mark would reunite 20 years later, announcing a new space adventure game, titled SpaceVenture, which they successfully Kickstarted in 2012.